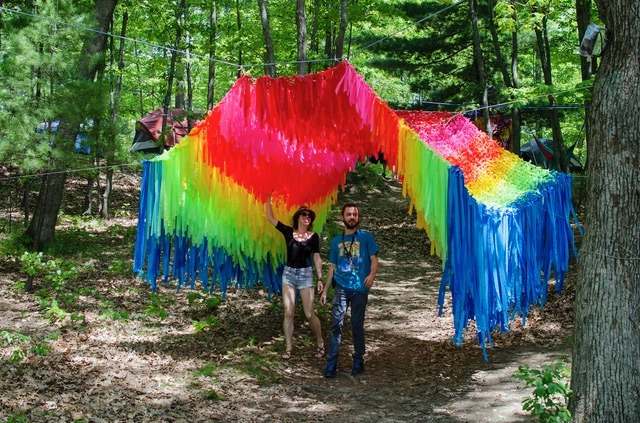 The Peace Tent is an art installation of colorful recycled flagging tape created by artist Emma Balder. 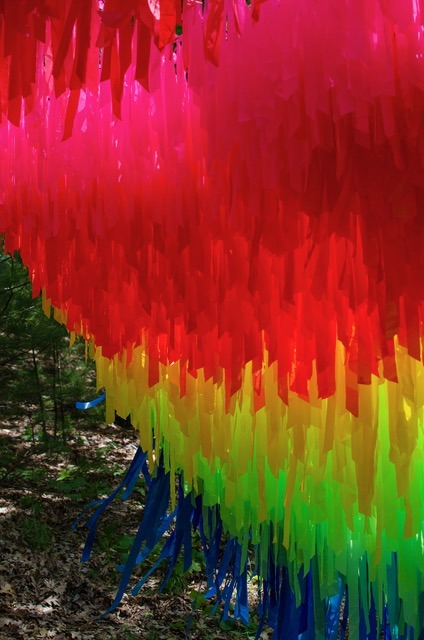 This interactive installation serves as a peaceful space, where viewers can feel safe and accepted. Viewers are encouraged to contemplate the meaning of community and leave the space feeling a sense of euphoria and unconditional love. The Peace Tent has made appearances with Meow Wolf at Colorado Crush, at Sonic Bloom Music Festival, Arise Music Festival, The Oriental Theatre, most recently at Denver’s Underground Music Showcase as well as several other events and venues nationwide. 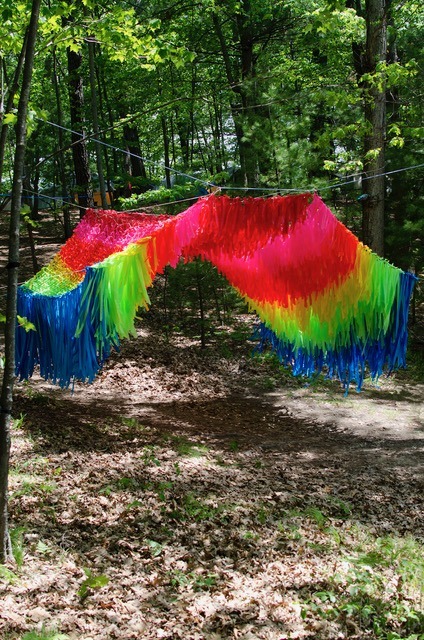 Emma Balder is a New England-bred, Denver-based visual artist with a BFA in Painting from the Savannah College of Art and Design. 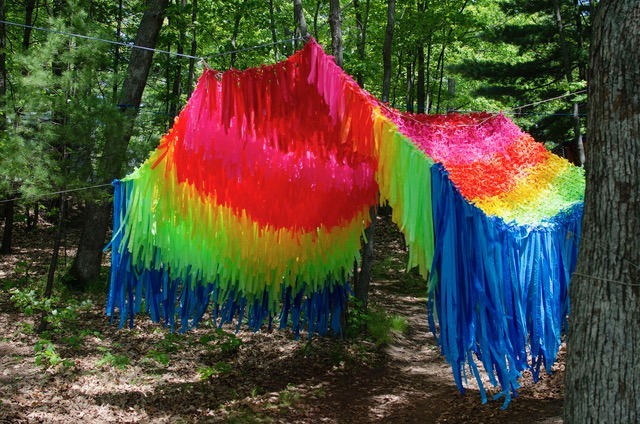 Emma was awarded a Staff Artist Fellowship at the Vermont Studio Center and was named a finalist of the Peripheral Vision Arts Foundation Prize Fellowship. She has received recognition in publications such as Art Maze Mag, Dialogist, Fresh Paint Magazine, and was recently featured in 303 Magazine’s Artist to Watch in 2018. Emma has exhibited internationally, and nationwide in spaces such as the Torpedo Factory Art Center in Alexandria, VA and Trestle Gallery’s Brooklyn Art Space in New York. Her works are included in private and public collections such as the Dave Bown Projects. Emma currently sits on the board of directors at Elsewhere Studios, a non-profit organization providing artist residencies in Paonia, Colorado.